Wrestlemania: The Grandaddy of Them All, the Show of Shows, the PPV with more nicknames and superlatives than coherent storylines. The annual Super Bowl of wrestling is the biggest day of the year in the colorful, outlandish pseudo-sport/gaudy performance art that is pro wrestling, and you can’t help but love it on some level. It’s the night when wrestling’s pageantry and self-seriousness is at its zenith, which also means it’s the night when the innate hilarity of wrestling as a storytelling vehicle is also maximized. Every year, Wrestlemania is a delicious melange of moments alternatively enjoyed with first irony and then sincerity. 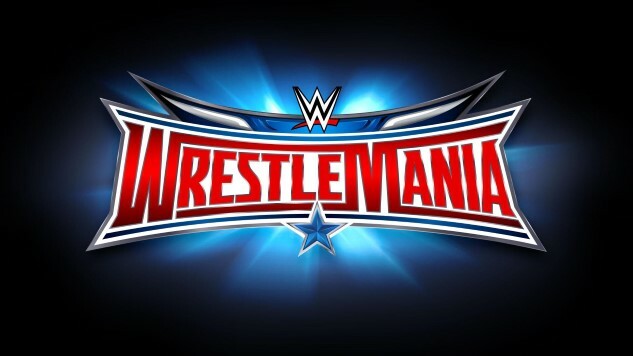 Wrestlemania 32, on the other hand, reflects many of the issues that fans have had with the WWE in recent years; the same issues that seem to repeatedly flare up at this time of year. In a calendar year when the company has been absolutely devastated by injury after injury, we’ve been given a lineup for Wrestlemania anchored by Triple H vs. Roman Reigns for the WWE Title, a match that seems destined to draw boos from the capacity crowd of 80,000 or more. Still, there are just enough other matches to get fans excited, from the potential mat classic of Chris Jericho vs. A.J. Styles to the three-way diva’s title match, which will hopefully elevate women’s wrestling to a new level of prestige. Here are Paste’s picks for every match at Wrestlemania; courtesy of wrestling fans Jim Vorel, Garrett Martin, Ian Williams, Luke Dormehl and Jamie Loftus, who has written a nearly year-long column for Paste called “Heel to Face,” chronicling one woman’s attempt to become a pro wrestling fan. Jim Vorel: This one is a total crapshoot, as we barely have any idea of who will even be in the match. It makes sense for the winner to be someone not directly involved in another feud, match or angle for Wrestlemania, which would make Bray Wyatt an option … but it sounds like his injuries are fairly extensive—ditto for Luke Harper. This battle royal and its trophy have almost immediately gone from “maybe significant” when Cesaro won the inaugural match in 2014 to “essentially pointless” with The Big Show’s win last year. Therefore, I’ll go with another random large person in the crowded WWE locker room—oh, let’s say Braun Strowman. Garrett Martin: This would be a great spot to introduce somebody from NXT, especially Samoa Joe or Finn Balor. After how Hideo Itami was treated in last year’s battle royal, though, I wouldn’t expect the winner to come from there. I would expect Braun Strowman to win, though, eliminating both Big Show and Kane to start his reign as the next overpushed giant. Ian Williams: I can’t imagine they’ll give it to Big Show again and everyone is injured, so I’ll say Kane. Good odds it’s a surprise entrant or a NXT call-up, however. Luke Dormehl: Mark Henry isn’t far off from retiring. A battle royal where he gets to dominate and show off some big power moves seems a fitting send-off for a great talent. Jamie Loftus: As the only person who gives two shits about this match, IF BIG SHOW DOESN’T WIN THIS I WILL FLING MYSELF OFF THE TOP OF AT&T STADIUM SO HELP ME GOD. Jim Vorel: There’s no way that The Total Divas lose this, but it’s ironic that the most sensible reason for them to lose would be for a Total Divas storyline. The pin goes with either Brie Bella (who then retires to be with Daniel Bryan) or Eva Marie because the WWE is so certain that people will love her despite her getting the aural equivalent of being pelted by rotten tomatoes in her audience reception. Garrett Martin: The ones from the E! Network show (Total Divas) win. Brie pins somebody and then retires the next night on Raw. Ian Williams: I don’t know. I don’t know why. The Total Divas, I guess, with Eva Marie scoring a pin on Lana? Jamie Loftus: Hard pass on this one. I’m rooting for B.A.D. & Blonde because I love Emma and can’t stand Eva or Brie, but they might take it on the merit of Brie’s impending retirement. I’m thrilled that there’s two women’s matches at Mania, but this one doesn’t have me very excited. Jim Vorel: This match has had little to no build, and simply seems to be there to take up space. The winner will be the team that the company plans to do the most with, post-Wrestlemania—which is to say, I have no idea. I’ll pick The Usos, given that the WWE loves to have them win and may be searching for more babyface wins on the big Wrestlemania stage. It also gives them an excuse to break up The Dudleys, if Bubba is going on one last singles run. Garrett Martin: With their love of nostalgia I’m surprised WWE didn’t make this a TLC match. The Usos will win for the feel-good moment at the start of the show, the Dudleys will finally get the tables out again but wind up going through them themselves, and then maybe Bubba can begin the singles run he earned through his reinvention as Bully Ray in TNA. Ian Williams: They’ve slowly been transitioning the Dudleys from nostalgia act to tag team scene players. Bubba’s still in remarkable shape for his age and I think the Dudleys pull it off, despite the potential for griping about young guys not getting a rub. Luke Dormehl: The Dudleys lost a series of big matches to the New Day. Give them the nostalgia pop of a WrestleMania victory in return. It’s not like the Usos—as much as I enjoy their talent—have too much upside. Jamie Loftus: Let’s go with The Dudleys—I’d be down for them to be the big old school victory of the night. Jim Vorel: Chris Jericho has been in an extended farewell tour of his career for multiple years now, reappearing every few months to have short programs with rising stars and ultimately put them over. A win gains him nothing, and would unnecessarily derail any momentum the company has built so far in promoting one of the best wrestlers in the world in A.J. Styles. This is the easiest to call match on the card: No way A.J. Styles loses this one. Garrett Martin: Fans have turned hard on Jericho for whatever reason, despite still being one of the best wrestlers in the company and the best promo this side of Paul Heyman. Styles was over from day one due to his skills and reputation, but Jericho deserves respect for how thoroughly he’s put Styles over through his interviews while still playing up how much they hate each other. The matches have been fine but not earth-shattering, but Jericho will ride the adrenaline of the big stage and finally be able to keep up with Styles in one of the two best matches of the night. A.J. Styles wins clean and embarks on whatever feud is next on Raw. Ian Williams: Styles wins this. Jericho’s content to get his in the middle of a feud before elevating a new or younger wrestler these days, and he already had his moment with the hilarious Y2AJ shirt angle. Luke Dormehl: This smacks of one of those nonsensical WWE cheap roll-up finishes that has the heel going over because … reasons. But after putting over Fandango of all people at WrestleMania 29, I’d be shocked if the part-time Jericho is booked to go over one of the company’s future hottest talents. I’ve got my reservations, but I hope WWE gives A.J. Styles the win at his first Granddaddy of ‘Em All PPV. Jim Vorel: Otherwise known as the All Injury Spectacular, coming about as a result of the WWE’s ravaged roster. Two weeks ago, it would have been crazy to suggest that Zack Ryder would even be in a Wrestlemania match, and now he’s the underdog pick of many. Regardless, though, the actual story is all about Kevin Owens and Sami Zayn, and they’re the two most likely winners. Prediction: Sami comes inches from winning, is denied, and Kevin Owens swoops in like a vulture to win the match and set up a later one-on-one date between the two. Garrett Martin: I love Cody Rhodes more than almost anybody else in the company but adding certified dead enders like him, Ryder and Sin Cara to the match just makes everybody else in it seem less important. Sami Zayn will win and set up a summer-long revival of his endless feud with Owens. Ian Williams: Sami Zayn, but I’m not confident about this. One way or another, Owens and Zayn are going to have a blood feud which continues into the summer. The question is whether it’s for the belt or just emotion; I’m betting the former, though putting it on The Miz so AJ Styles can get into the IC title scene away from the impending pan-Canadian war would be sharp. Luke Dormehl: It’s very #firstworldproblem of me, but I’m bored of multi-man ladder matches at WrestleMania. This one features a bunch of guys who have been treading water for ages, plus Sami Zayn and Kevin Owens. I’m going with Owens, if only because he deserves a lot better at WrestleMania. Jamie Loftus: OWENS, BABY! Seeing him in the same ring as Zayn, as the world has affirmed since this was announced, will be incredible. I’m on board for this entire card in a major way, but I think that an Owens Mania victory would set the crowd on fire. Jim Vorel: The U.S. Title has definitely fallen in prominence from when it was being defended weekly in John Cena’s open challenges. Ryback has been stuck in this angle as the “I am big and you are small” heel, with Kalisto playing the babyface in peril. The company seems to want to build a crowd reaction for Kalisto and position him as the next Rey Mysterio, and a title defense at Wrestlemania would be a big reward for his first year with the company. So I’m picking Kalisto. Garrett Martin: Ryback’s latest push seems to have already fizzled out again, but he’ll take this match and the belt because the number one rule in WWE still remains in effect: always bet on the bigger guy (and, in this case, the Big Guy). Ian Williams: Kalisto’s got a ton of momentum and Ryback seems rudderless. Kalisto keeps riding the giant killer reputation a little longer. Luke Dormehl: I’m a sucker for big man vs. little man matches and, although there are definitely others I would rather have seen get a singles match at WrestleMania, this bout could turn out to be a surprising amount of fun. With so many of its headliners on the injured list at the moment, Vince McMahon is sure to want to default to his standard “push the muscle guy” strategy. In other words…Ryback wins. Jamie Loftus: Kalisto, I guess. Ryback turning heel was a drag. Next: The WWE Championship and more!